TDA worked with the CHA on redevelopment options for over 600 units over multiple sites. LBJ, a 180 unit high-rise was the second facility targeted for reconstruction. TDA engaged a marketing consultant to explore specific issues in the City’s affordable housing inventory and embarked on a yearlong process with both residents and the Housing Authority that generated a shared vision for significant change. Residents, both seniors and non-seniors with disabilities were at first skeptical of the proposed renovations, fearing displacement, intrusive construction, and unknown outcomes. Ultimately, it was their commitment to building a renewed community that raised the bar on project goals. Intensive multi-lingual workshops addressed topics such as unit layouts, appliance selection, phasing and funding. 3D computer models and full-scale site-built prototypes empowered residents to help articulate an ambitious yet ultimately achievable set of architectural and procedural goals. The outcome resulted in a range of adaptable and accessible features, energy conservation measures and the use of “Made in America” products. Energy consumption requirements were part of a special stimulus grant awarded to The City of Cambridge by HUD to explore conservation in high rise buildings. The baseline criteria required overall consumption to be reduced by 50% over a 5 year monitoring period. 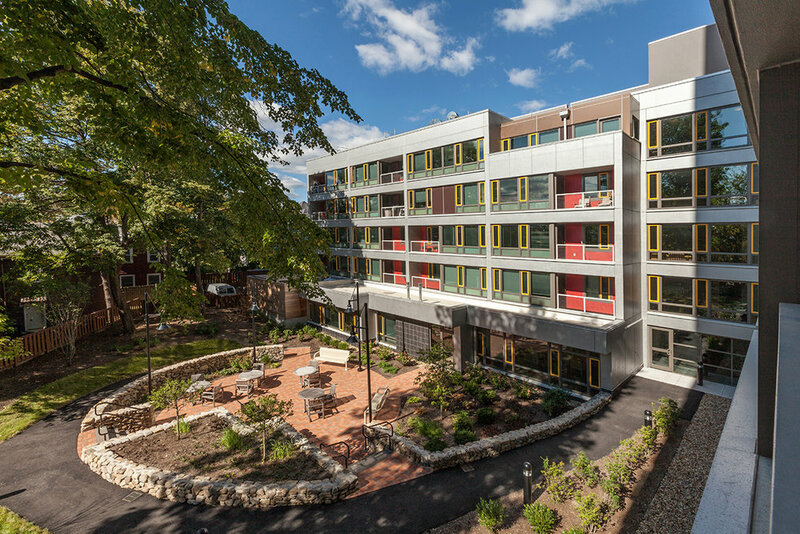 With 180 occupied senior apartments, we designed a total renovation including thermal sidewall, co-generation, rooftop PV, ERVs, and hi-efficiency gas systems that have reduced consumption 66% in the first year while simultaneously introducing central air conditioning.